JNN 18 May 2015 Cairo : An Egyptian court has sentenced ex-President Mohamed Morsi to death over a 2011 mass prison break. The verdict will now be handed over to the country’s Grand Mufti and a final decision will be reached on June 2. Morsi is among a total of 106 Muslim Brotherhood members sentenced to capital punishment over the incident. The Wadi al-Natrun prison break took place during the 2011 January revolution and eventually led to the deposition of Hosni Mubarak. On January 28, 2011, Morsi was arrested along with 24 Muslim Brotherhood leaders and put into Wadi al-Natrun prison in Cairo, but he escaped two days later. Following the prison break, several other prisons saw multiple riots and thousands of inmates escaped. According to prosecutors, the prisons were attacked by members of the Muslim Brotherhood, Hamas and Hezbollah, intending to free Islamist inmates. Some outlets previously reported Morsi was sentenced to death for passing state secrets to foreign groups, including the Palestinian militant Hamas group and Lebanon’s Hezbollah, during his one year in office. However, that verdict does not include his name. An official from the Muslim Brotherhood, Amr Darrag, has urged the international community to bring pressure to bear to prevent the ex-president’s death sentence. “This is a political verdict and represents a murder crime that is about to be committed, and it should be stopped by the international community,” Darrag told Reuters. The court is also seeking the death penalty for Khairat Shater, a leading member of the Muslim Brotherhood for conspiring with foreign militant groups, according to Reuters. Many of those 122 sentenced to death were tried in absentia, including Yusuf Qaradawi, an Egyptian Islamic theologian, who is now living in Qatar. All the cases will now be referred to the country’s Grand Mufti, Shawki Ibrahim Abdel-Karim Allam, the highest official of religious law, who will issue a final legal opinion. Meanwhile, Washington is “deeply concerned” about the death verdict passed by Egyptian court, the US State Department said insisting that it is “inconsistent” with the rule of law. 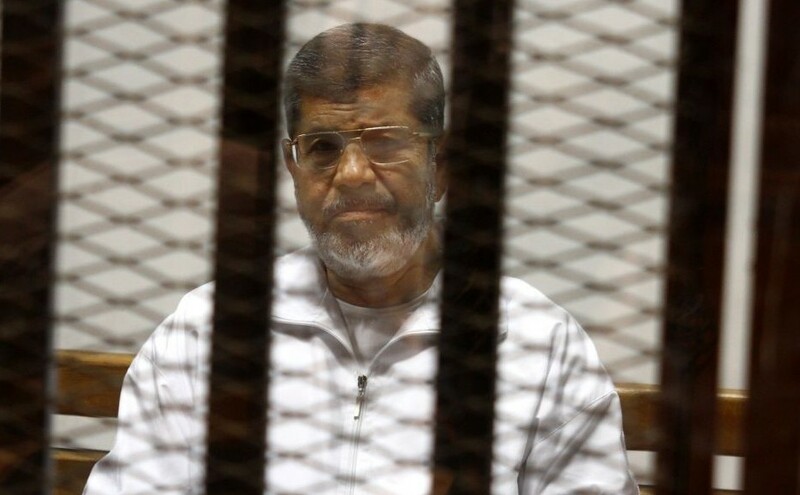 Amnesty International has condemned Morsi’s death sentence, calling it “a charade based on null and void procedures.” The group demanded the immediate release of Egypt’s former president. Turkish President Tayyip Erdogan also slammed the court decision and accused Western countries of hypocrisy, the Anatolian news agency reported. “While the West is abolishing the death penalty, they are just watching the continuation of death sentences in Egypt. They don’t do anything about it,” he said. The ousted leader is already serving a 20-year sentence. On April 21, he was convicted on charges linked to the killing of protesters outside Cairo’s presidential palace in December 2012. Egypt first fell into turmoil four years ago with the onset of the Arab Spring and the ouster of Hosni Mubarak who ruled the country from 1981 to 2011. During the revolution headed by the Muslim Brotherhood, about 1,000 people were killed and more than 6,000 injured. Morsi himself was then removed by Field Marshal Abdel Fattah el-Sisi in June 2013. Opponents had been accusing him of trying to monopolize political power by proposing an openly Islamist constitution, stuffing the bureaucracy with his associates and banning the courts from overruling his decisions. The unrest that followed those events killed over 1,000, including women and children, according to HRW. This entry was posted in AFRICA and tagged Death Sentence, Egypt, Ex President, Morsi, Muhammad Morsi, Muslim Brotherhood. Bookmark the permalink.